I LOVE Valentine’s Day with kids. I’ve not always been so enamored with it as an adult, but with my kids? I adore it. Je t’adore! Me gusto mucho! 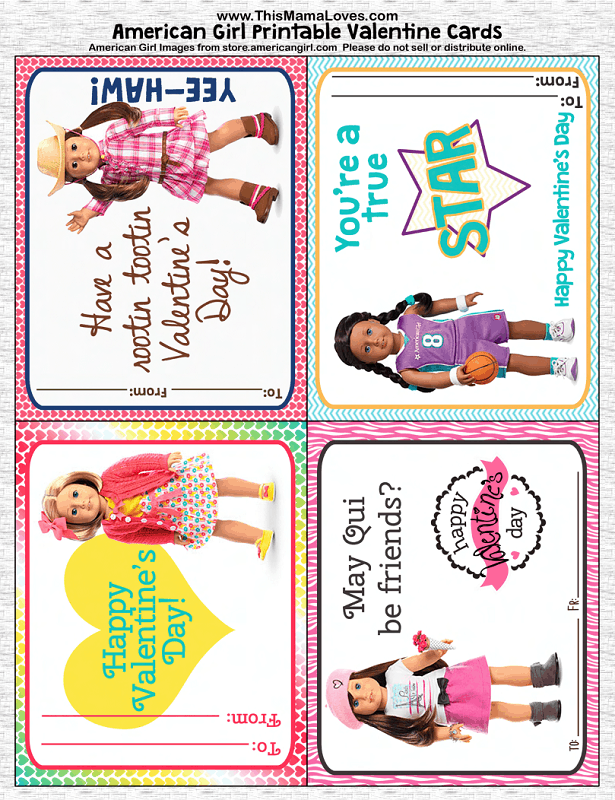 Mostly, because it’s a day to celebrate friendship and get punny and funny, sweet, sappy and cute cards, plus…candy. Or not. 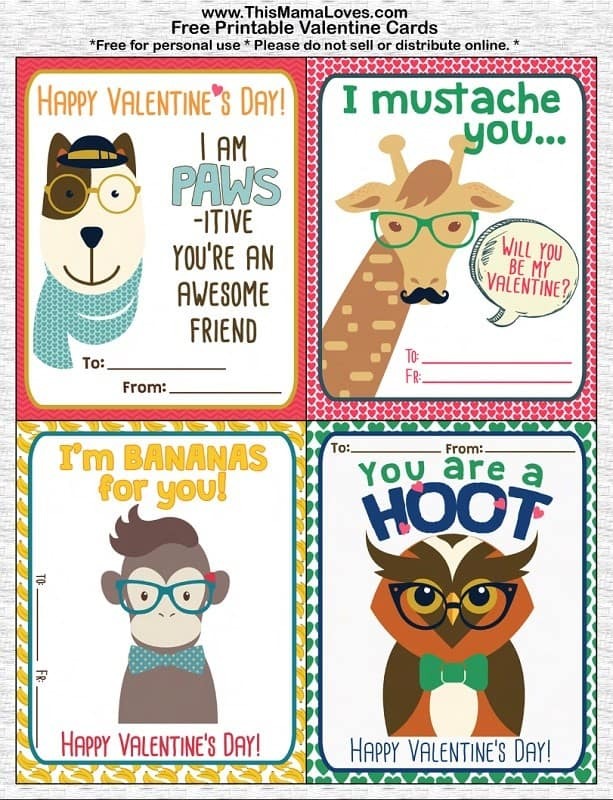 Either way- here are some hip-hoppin fun printable hipster valentines that you can download here: hipster-valentines or you can click the pic of them to get the PDF file for download. Enjoy!! Want more Valentine’s Day ideas? 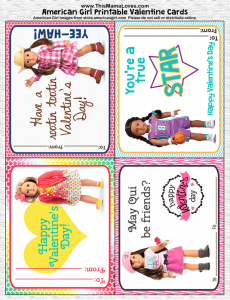 Here are some American Girl Valentines you can print too! These are really cute. I like that they have some that are good for a boy to give to a boy. I might have to do these with my son this year.